I still remember that August day in 2008 when I got a call from the US Embassy in Ljubljana informing me that I have unofficially won the Fulbright Scholarship. It was a huge milestone in my life as the Fulbright experience shaped not only my professional career but also how I view the world and who I’ve become since. My planning and preparing the application started many months earlier. 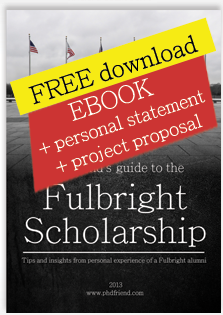 Back then, the information on how to win a Fulbright scholarship was scarce and I wrote this guide to share my experience and advice on the application process. You can also read about what you will go through once you begin your research visit in the USA that could help you when you become a Fulbright Scholar. As of November 2017, this guide has helped 100.000+ friends from 206 countries. If you find it useful, please share. You can also post questions in the comments and I’ll try to point you into the right direction. Don’t think non-fulbrighters can get one. I got mine at the Fulbright enrichment seminar. dear sir,how are you?well,am kebba and i want to have a scholarship to your country..and how can start to apply for it? Hi Kebba. First of all, you could only get a Fulbright to my country (Slovenia) if you were a US citizen. To apply for a Fulbright to the US, contact your local US Embassy. I would like to apply for a Fulbright to pursue a PhD. I just completed my GRE test and my scores are not so great (Verbal 156, Quant 143). Do you think I should still apply for the scholarship. I think the rest of my experience is good. I saw a comment on a site where they asked the person to redo the test but they still granted the person the scholarship. What do you suggest in my case? Apply or wait the year, re-sitting the GRE test in the meantime. AFAIK, most Fulbrighters (foreigners researching in the US) are already grad students of some sort. The full PhD, multi-year scholarships are rare and depend on the country of applicant residence. You should contact your local US Embassy for details. I have been surfing online more than three hours as of late, but I by no means discovered any interesting article like yours. It’s pretty price enough for me. In my opinion, if all web owners and bloggers made good content as you probably did, the internet can be a lot more helpful than ever before. Sir I would like to inquire as to what proper sets of documents are required. And due to the change in format of GRE what would be an appropriate score. AFAIK, all necessary instructions are usually included in the application documents. However, it was not required for me to include a GRE score in my application. I want to know you about GRE exam, how should preparation of it. I have applied for the Fullbright PhD scholarship 2013. My GRE score is Analytical Writing = 3.0, Verbal = 520 and Quantitative = 560. I am not sure whether this score is good enough for this scholarship. Please let me know that should I need to reappear in GRE exam. The other thing I would like to know is that, I have my MS degree from University of Southern California Los Angeles in 2009. As I have already spend 2 years in US during my MS studies, does this make any good/bad effect on my chances of being selected ?? Dear Adnan Aslam … I wasn’t required to take a GRE for my Fulbright, so you should contact your US embassy for requirements for your country. As for your previous studies in the US, I think it would be a disadvantage if lots of interesting candidates apply. However, that’s my feeling and not a general truth. currently i am pursuing phd(6 months) on Indian mythology……i want to pursue this topic in u.s.a’s university…….for scholarship in Fulbright for phd , do i need 5 years of teaching experience???? It depends on the type of the Fulbright Scholarship. You should check your local US embassy. Sir, I have a question regarding work (job) experience, i was to pass and get my bachelors (a Four year-degree) two years ago in march 2011, but i failed in a subject and instead of clearing it then, i started doing a job(with university’s permission). I worked for 18 months and then left it in September 2012, now that i have re-enrolled my remnant subject in my university after leaving my job and i am working on it and hopefully will pass the subject before April this year. Kindly guide me that if i apply to Fulbright this year, will my job (working) experience count, will they reject me on basis of a late (6 year) degree, or how to overcome this disparity of a late degree. kindly reply so that i may make my mind regarding Fulbright. AFAIK, job experience is a plus. Anyhow, failing a class isn’t. Late degree doesn’t seem to be a problem … check with your US Embassy. MY CGPA IS ABOVE REQUIREMENT OF FULBRIGHT, BUT I HAVE 3,4 SUBJECT IN MY BACHELORS DEGREE THAT I FAILED IN,HOW MUCH WILL THESE AFFECT MY APPLICATION?ON THE OTHER HAND I HAVE A STRONG PROPOSAL AND A GOOD GRE SCORE. Congratulations and good luck. One would hope that accepted Fulbrighters already know how to do research. Anyhow, Quora can be a good first stop for a pursuer of scientific research. i have already submited my application but i didnt send my transcripts because in march2013 i graduated from university and i hav’nt recieved my transcripts yet, what do you thind does my application will be accepted? I wonder if you can help, I hope so. My daughter applied for the Fulbright scholarship here in South Africa last year and was informed her application was successful. We all of course cheered and were very very proud of her. She went for the pre tests etc and all but the orientation for which she received her invitation last week. Then all of a sudden last night she received a mail to say that the scholarship had been cancelled due to lack of funds. Now I find this dastardly as plans have been set in place for here attendance in the US, she is blind and married and a lot of things had to be organised for this to happen, which if this is the case is now moot. She and her husband would now be left out in the wilderness to try and get there lives back on track after receiving his news. Please can you let me know if there is anything we can do to reverse this decision. That’s really unfortunate. This is most probably due to your local lack of funds issue, as the USA usually deliver on their promises/contracts. Contact your local US Embassy, and ask for help. Keeping my fingers crossed. Hello PhDfriend…….could you please send me your personal statement, statement of purpose, the purpose of fulbright nehru program etc. I am not able to write these things on my own. I want your help regarding the Fulbright fellowship. I am about to submit my application. Please provide me suggestions where I can find a good invitation letter sample. So that I can proceed with my application. I have been offered fullbright to pursue my masters in US. I have 2 universities in mind and i want to avoid the risk of IIE choosing a different univerisity than those universities. Hence, is it possible to apply to the same program through fullbright and then perosnally as well? Does this affect the university funding decision? Thanks in advance and keep up the good work. Hey. I recommend consulting your Fulbright representative and staff at the Universities you’re applying to. It pays off to be honest about your intentions. From my experience, the IIE are fond of applicants that already know what/where they want to research. I’m among the Fulbright JSD nominees for Masters by the local commitee of my country, Mauritania. We are 5 and the Fulbright Board usually select three principals among the fives. I received a call from our local commitee and they said that they received a notification saying that I should register for another TOEFL to improve my score (I got 87 before) for a better placement though we didn’t get the final results. My question is: Does it mean I’m selected? Or my score was weak? Thank you very much, I’m glad you appreciate 🙂 Get in touch if you get a Fulbright! I did the TOEFL and received the same score lol…In the meantime I received an email from Umass Boston (one of those universities I chose in my online applcation)acknowledging receipt of my application in a their master program. But we are still waiting for the final result. What do you think? Hey! I’m selected as a principal for a master’s degree in International Relations 😀 !!! Now, I’m waiting for the Institue for International Education to find a school for my placement. I hope they will find it very soon and everything will be fine at the end… Thank you PhDfrind for everything !! @PhDFriend, I have already been recommended by the National Selection Committee in India. All I know as for now is that my name has been recommended to Fulbright Board Washington, D.C. for final approval. I also received my TOEFL score (93). Is this score good enough ? (How much the score matters).So, at this stage, does all the recommended applicants get the fellowship, finally? Really good info. Thanks a lot! I found this very interesting and am looking forward to apply for Fullbright scholarship. I have done my Post-graduate diploma from India and an working in a Market Research organization in UAE for the past 3 years. A. How do i apply for the fullbright scolarship? B Do i need to give any competetive examination? I have got selected for Fulbright Nehru Master’s Fellowship 2014-15. The Universities have also got short listed by IIE. My TOEFL score is 96. IIE has asked me to reappear TOEFL which I did but I am not sure whether I will get better score this time. If I do not, then would IIE send my application with 96 score? as amongst the 4 universities, 3 need ‘100 or above’ TOEFL score to be eligible. Hi. I am not sure about what they will do, but 96 is quite a good score. 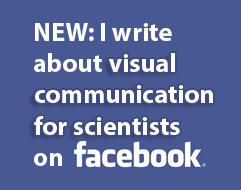 Are you in natural sciences or social? Hey. I recommend you get the free ebook, your question is answered there in detail! Hey! I’m selected as a principal for a master’s degree in International Relations 😀 !!! Now, I’m waiting for the Institute for International Education to find a school for my placement. I hope they will find it very soon and everything will be fine at the end…I just want you to read and clarify this passage from the email I received “We remind that a Fulbright award is contingent upon three separate approvals and confirmations. First, each candidate must receive approval of the J. William Fulbright Foreign Scholarship Board. Second, there must be confirmation of funding. And finally, there must be confirmation of placement at an appropriate U.S. institution. Once this three stage process has been completed, IIE will be in contact to confirm placements. This usually occurs in April to June.” Thank you PhDfrind for everything; I really appreciate your kindness and availability !! Can you provide us with details on what happened next after being selected as a principal nominee?? I am post doc Fulbright scholar for 13-14 and I wanted to know more about receiving possible extension as it seems to me I may not be anle to wind up in another 6 months. The CIES contact said its possible to get an extension for upto 6months however the home country office said there is no extension on Fulbright ! Interestingly, the orientation booklet says it possible to apply… Any thoughts? Hi. I can give you only my thoughts, this is not a subject I looked into. I think that extension on the grant itself (more money) is less likely than the extension of your J-1 Visa, which should allow you at least staying in the US and finishing research. So first, I would try to arrange a visa extension and then (with the visa already extended) work on trying to extend the grant itself. HI I am Gaurav Gupta and doing PhD from Punjabi University (India). My area of PhD is Marketing (Management) and core area is Brand Management. I want to apply for. You will be affiliated to one US host institution for your grant. USIEF strongly recommends all applicants to identify institutions with which they wish to be affiliated and to correspond, in advance, with potential host institutions. You don’t approach universities, but individual professors you’d like to work with. I have completed my masters in biotechnology and now I want to do PhD in Infection biology. I am interested in doing my PhD abroad. The current profile of mine holds 309 in GRE, 106 in TOEFL, 9.03/10 CGPA in my master’s and 9.12/10 CGPA at my bachelor’s.I have published one research article in PLos One and another article is at pipeline. Will I be able to get a full scholarship with this profile? With out a scholarship I can’t afford studying abroad. Please guide me regarding this. i am doing phd in indian university. i want to apply fullbright scholarship but i dont have TOFEL. is it necessary to have? You don’t need to take it before you get shortlisted. Hi. Some of your questions are covered on other pages of this site, and others should be emailed to your local US Embassy, where they know exactly what types of scholarships they can offer you and whether you fit their requirements. This is a too specific question, and I cannot offer you a qualified answer. Good luck! I am doing PhD in microbiology in Karnataka i want scholarship . how to get please suggest me. I am Research Scholar and a PhD student at SMVDU university J&K. My area of Resaerch is Assortment planning for Small retailers in India.I am applying for Full bright Nehru Doctoral Reaserch Fellowship. Is is important to have a Consent from a Prof working in the host university for conducting research with him. Yes, it helps. Any contacts that you have in the USA prior to your application, help. I am interested in applying for the ETA program. I am not sure if I am to find a university in the host country by myself or if Fulbright associates will help me. Can you offer any help? You are better off finding a host by yourself. IS there any scholarship available so that I can find suitable Host myself. How many graduates will be selected per year for bright scholarship. What are major milestones you feel for bright scholarship in applying process. Is there any other scholarships are available? I have applied for the fulbright doctoral fellowship. I did my B.Tech in chemical engineering from a local college with 69.7% (I passed 3 subjects in supplementary examinations) Then my M.Tech is from IIT Madras with a CGPA of 6.94. Now I’m pursuing Ph.D in IIT Guwahati. Are these credentials enough to get shortlisted for the fellowship??? I also have an invitation letter from Caltech. Will this boost my chances??? I’m interested in the ETA scholarship in a few countries like South Korea and Spain. However I’m currently 31 (I didn’t finish a BA until I was 27) and many countries state preference for candidates under 30. Should I still apply? I’ve had little luck in landing positions that advance my career. , I’d hate to think my age is working against me too. I am an Indian national doing a PhD in Hong Kong. I want to apply for a full bright scholarship. Is it possible to apply for this outside your home country? I don’t think it’s possible in general. Contact your local US Embassy for more accurate information. is psychology a part of the fulbright program? I am an Afghan National and have MS in Management Sciences. Could you please tell me, can i apply for Fulbright PhD scholarship?. In eligibility criteria mentioned in the Fulbright website the science or technology is mentioned but it is not clearly mentioned, the students who have studies management can apply for Fulbright PhD scholarship. If you can help me. I am an Afghan National and have MS in Management Sciences. Can i apply for Fulbright PhD Fellowship?. Check with your US Embassy in Kabul. I am perusing my M.Phil now and looking for Fullbright scholarship in the USA for my Ph.D programme. How should I proceed to it? My research area is Migration. I am from India and perusing my M.Phil now and looking for Fulbright scholarship in the USA for my Ph.D programme. How should I proceed to it? My research area is Migration. Hi, it depends on many factors and mostly on the Fulbright scholarships you have available in your country. I’d start by contacting your local US embassy. Good luck! Is it necessary to have a publication to be selected in fullbright scholarship? The scholarship program tries to select students with good academic career. Did they mean the fullbright fellows need to be the rank holders of any universities or institute during their studies? Practical post , I learned a lot from the details , Does someone know if I can get ahold of a blank UK SSCS1 example to work with ? Dear Sir/Madam, Is there a sample for Letter(s) of Invitation from hot institution? It will be nice if I get one. Dear Vesaj Ratna. I am sure institutions already have mock-ups of such letters and they will provide one for you. Best! My Prof (USA) also asking same letter template. plz provide a sample if posible. My Professor (host institution, USA’) asking about a ‘Template’ of ‘A letter of invitation’ host institution United States. So, he can follow that to provide mine. Please guide me about it or provide me a Template for this. This is Preeti from India. Last time I applied for Fulbright Doctoral Fellowship but I did not get through. I want to apply this time as well. My area of research will be fiction based on the stories of refugees. Could you please guide me for applying with a strong proposal this time?